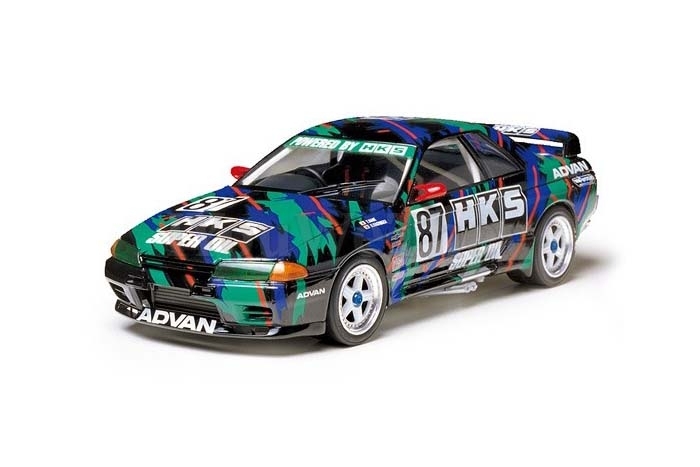 1/24 scale assembly kit of the HKS Nissan Skyline GT-R, which was entered by the well-known Japanese tuner HKS during the 1993 All Japan Touring Car Championship season. Special Feature 1 Hood is detachable even after assembly to showcase details such as the 2,568cc 6-cylinder DOHC turbocharged engine, intercooler, and large radiator. Special Feature 2 Tires with realistic tread pattern and metal-plated wheels included.